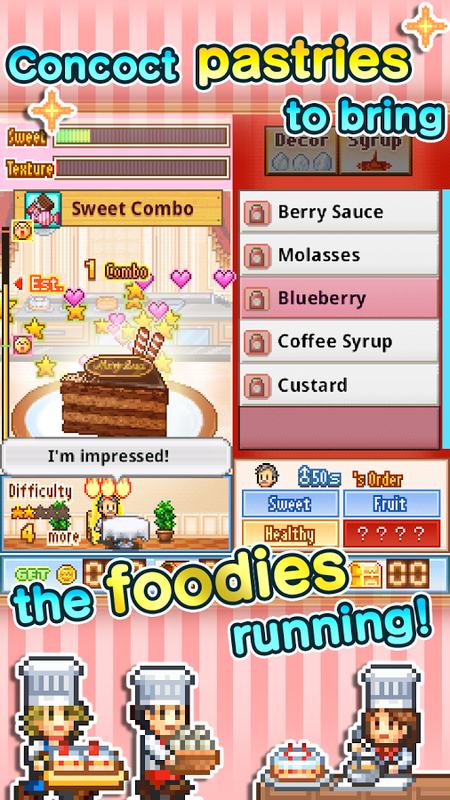 Have your cake and eat it too in this latest and greatest of cakery simulators, fresh from the Kairosoft oven!Improve your prowess as a pâtissier by pioneering a bountiful catalogue of high-ranking recipes. 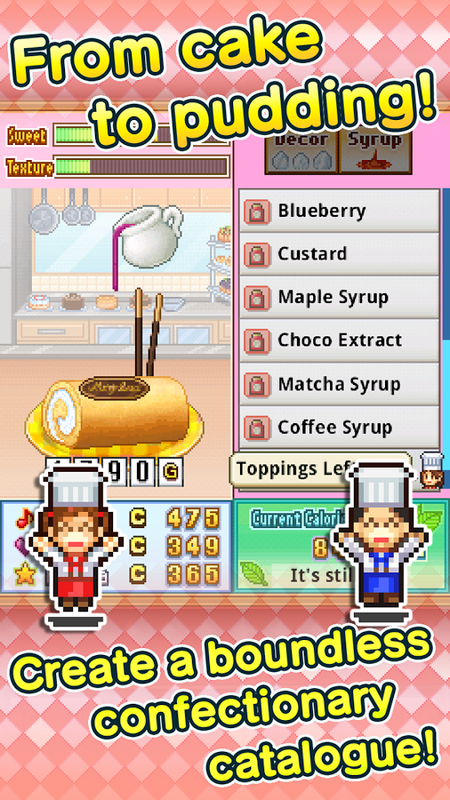 For example, combine a sponge cake with strawberries and cream--and presto! 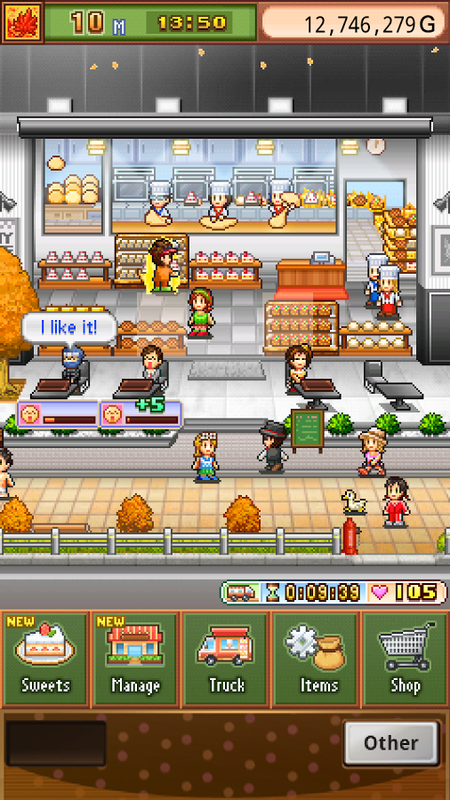 You&apos;ll... see more Have your cake and eat it too in this latest and greatest of cakery simulators, fresh from the Kairosoft oven! Improve your prowess as a pâtissier by pioneering a bountiful catalogue of high-ranking recipes. For example, combine a sponge cake with strawberries and cream--and presto! You&apos;ll have whipped together a supple shortcake! Even grace your creations with toppings for added effect. And once you think you&apos;re ready, test your confectionary capacity by pitting these pastries in grand competitions! 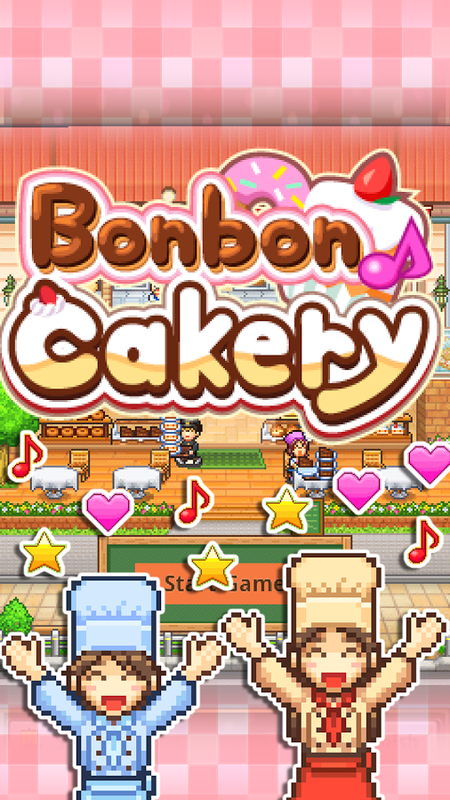 Pleasing the palates of your beloved customers will aid your culinary crusade by earning cash rewards and tasty ingredients. These delectables hail from specific regions--which you&apos;d do well to take note of. Once you&apos;ve pooled sufficient funds, invest to break ground in new markets! 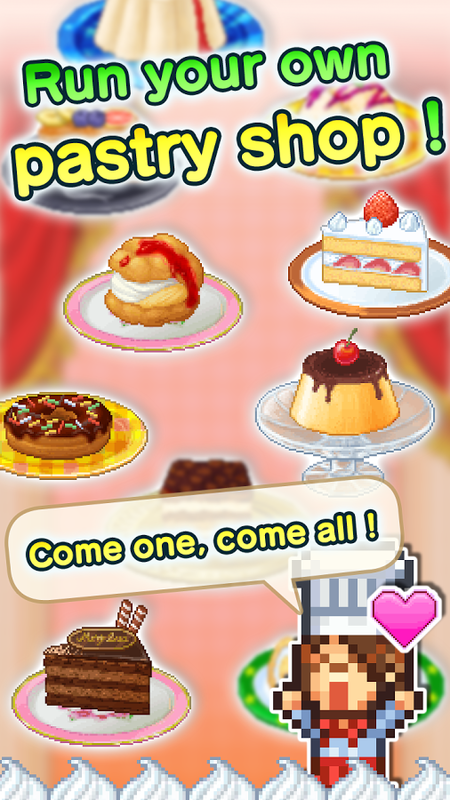 Persevere in the path of the pâtissier to eventually unlock secret features like the "Hall of Fame Challenge," in which you&apos;ll need to fill a flurry of fast orders, and "Recipe Lab," allowing you to step up the quality of your sweets. But wait, there&apos;s more! 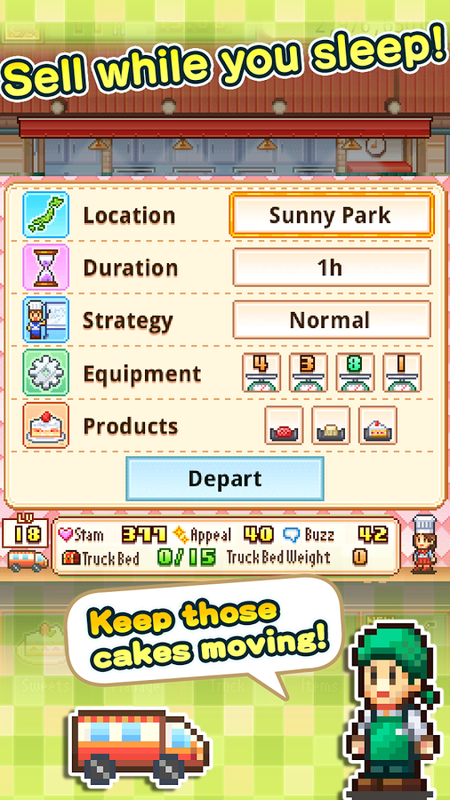 Cherries on top include an online feature allowing friends from across the country to visit your personal cakery, as well as a "Truck Sales" mode allowing the pastry peddling to continue in real time--even while you sleep! With a pinch of time and a dash of TLC, you&apos;ll agree... success was never so sweet!